Prime Minister Narendra Modi met United Nations Secretary General Antonia Guterres on the sidelines of G20 summit here on Thursday (local time) and discussed India's role in addressing climate change globally. Official Spokesperson, Ministry of External Affairs Raveesh Kumar tweeted, "UN Secretary General @antonioguterres met PM @narendramodi in #BuenosAires on the sidelines of the #G20Summit. Discussed India's uniting role in addressing climate change globally, with specific reference to the forthcoming COP24 meeting in Katowice, Poland." The Prime Minister, at present, is on a three-day visit to Argentina to attend the G20 summit. 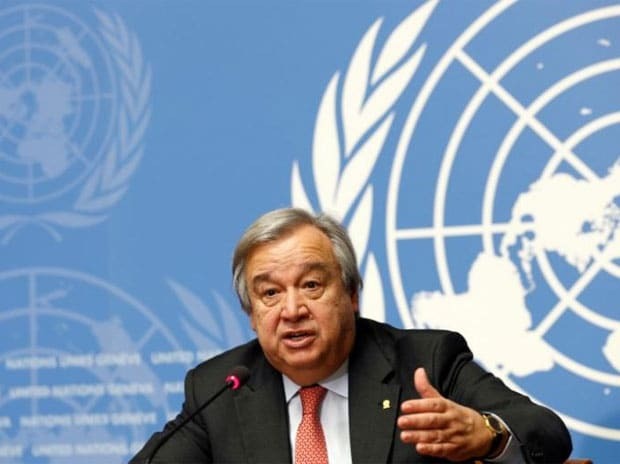 The UN Secretary General had reached out to the Prime Minister for the second time in two months. This outreach comes just a week before COP24 (United Nations Framework Convention on Climate Change) in Katowice, Poland. It reflects the respect in which the Prime Minister and his initiatives are held globally to take the lead on issues of global importance.